After you have an e-book in iBooks to read on your iPad, put on some music, settle back in a comfortable chair, and read it. Luckily, reading an e-book on your iPad isn’t much harder than reading a paperback. Here’s how to do it. 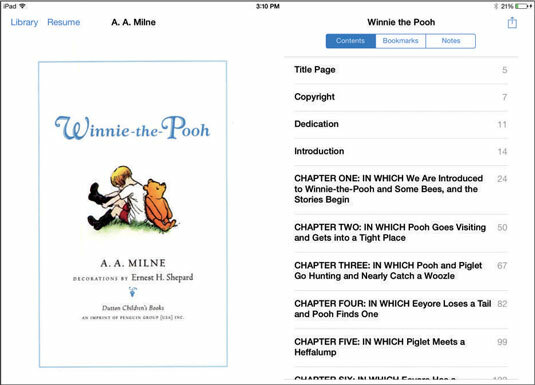 Tap iBooks, and if your Library (the bookshelf) isn’t already displayed, tap the Library button. Tap an e-book to open it. To go to the book’s Table of Contents: Tap the Table of Contents button near the top-left corner of the page (it looks like a little bulleted list) to go to the book’s Table of Contents (see the figure) and then tap the name of a chapter to go to it. To turn to the next page: Place your finger anywhere on the right edge of a page and flick to the left. To turn to the preceding page: Place your finger anywhere on the left edge of a page and flick to the right. 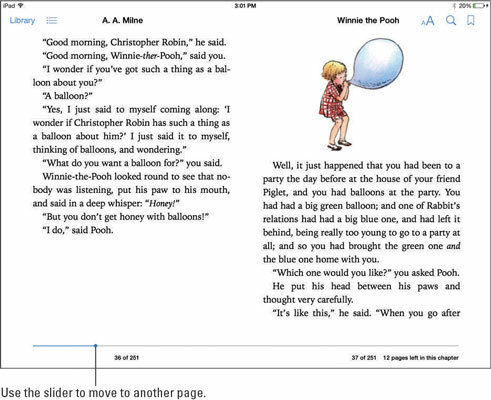 To move to another page in the book: Tap and drag the slider at the bottom of the page to the right or left. Use this virtual Table of Contents to go where you like in your e-book. To return to the Library to view another book at any time, tap the Library button. If the button isn’t visible, tap anywhere on the page, and the tools appear. 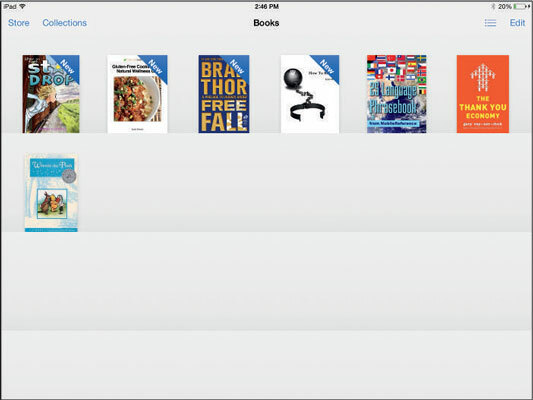 With the introduction of iBooks 2 came the ability to purchase books that have interactive features. For example, you might be browsing through a textbook and find a small image of a map; click the map, and it enlarges to display the full map. Or, you might see an icon and a label indicating a movie clip. Click that icon, and the movie plays.